Record FPGA data during 1 hour – really. As ASIC, SoC and FPGA engineers, we are used to watching the operation of our designs based on single limited snapshots. RTL simulations, for instance, provide bit-level details during execution times that span over a few (milli)seconds at best. Consequently, it may not be possible to see events that happen over long times as a single coherent capture. In this blog post, I have wanted to show what can be done in a real case with EXOSTIV. The design that runs from a FPGA board is a full system on-chip that features a Gbit Ethernet connection. 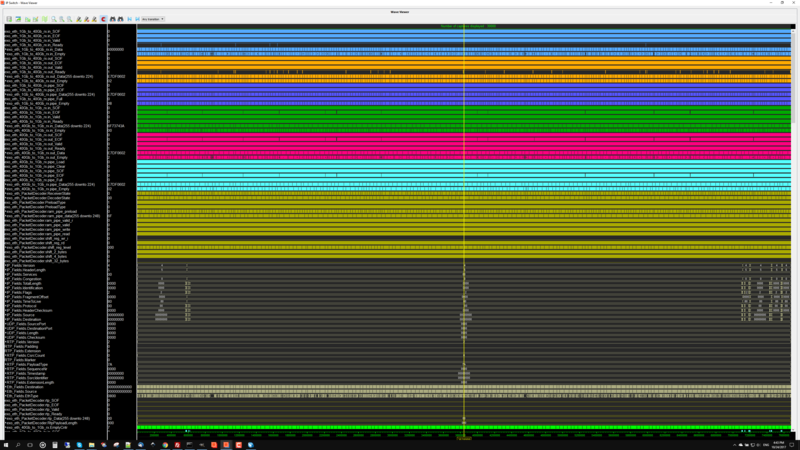 The board is connected to our company network – and I have set up EXOSTIV to trigger and record the Ethernet traffic during 1 full hour. 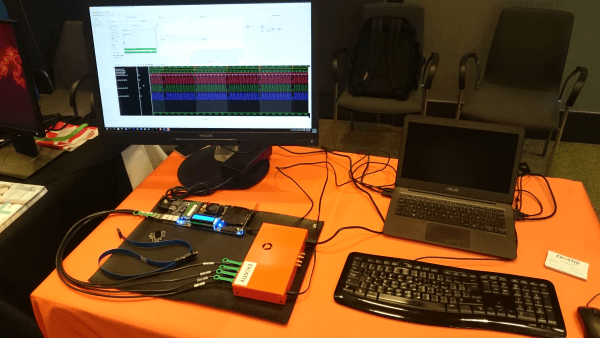 Yes, we used EXOSTIV as an Ethernet sniffer, that works from inside the FPGA – providing a ‘decoded view’ of the traffic after it has entered the FPGA Gbit Ethernet IP. Check the video below. We have accelerated it but the stop watch shows the real elapsed time. 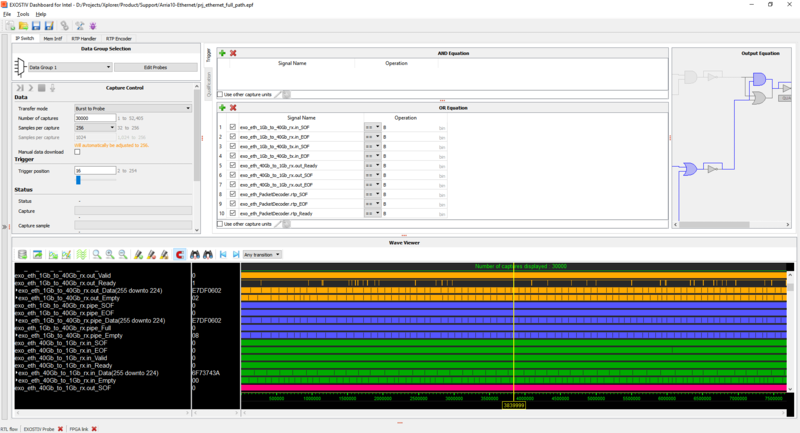 Like it is shown on the video, we have set up EXOSTIV to record a chunk of data (256 samples) every time ‘something’ is seen on the Ethernet interface: there is an event trigger when a wide variety of events (note the ‘OR’ equation trigger definition) marking the detection of traffic happen on the Ethernet connection. 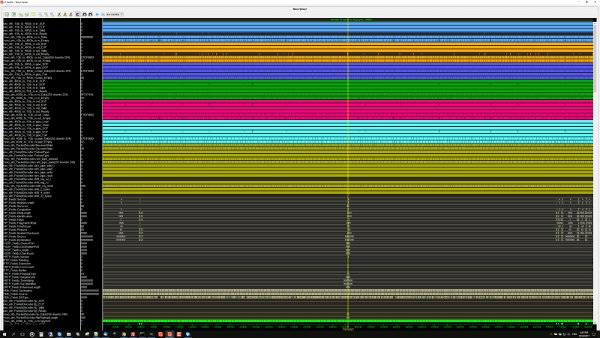 Each sample is 1,248 bits wide.. 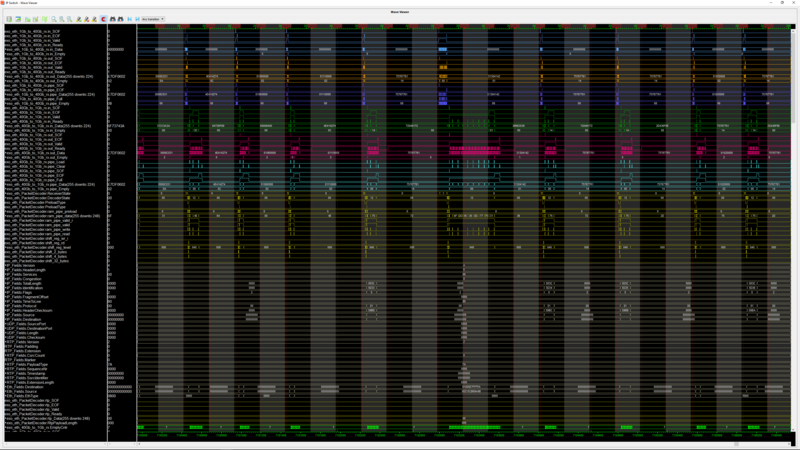 This gives a quite good insight of what is ‘after’ the Gbit Ethernet IP in the FPGA. Each burst records 256 x 1,248 bits = 319,488 bits of data – and there are 30,000 such bursts collected over a total time of about 1 hour. 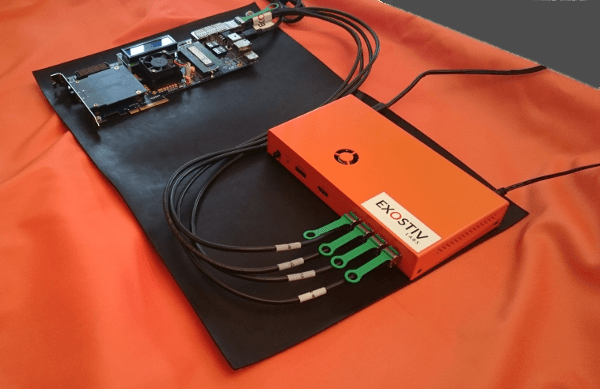 In total, EXOSTIV has collected a little less than 1.2 Gigabyte during this run – which is just about 15% of the total memory provided by an EXOSTIV probe. Practically, it means that we could collect roughly 6.6 times as much data… (> 6 hours) with this single capture unit. As always, thank you for reading (and watching).